What Fruits Are High in Dextrose? What Fruits Contain a High Sugar Level and Should Be Avoided to Lose Weight? The vast majority of Americans fall short of getting the two recommended servings of fruit in their diets every day, according to registered dietitian Cynthia Sass in "Shape" magazine. When you make healthy choices and eat fruit in moderation, it is a smart addition to a weight-loss plan and also reduces your risk of being overweight or obese. Some fruits you’ll find at the supermarket, however, are high in added sugar and are less healthy options. 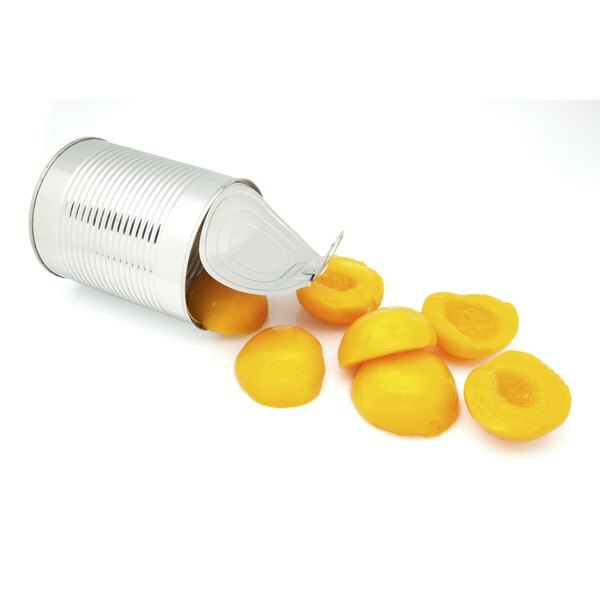 You shouldn't eat too much canned fruit packed in syrup or canned fruit that has been pre-peeled, states registered dietitian Leslie Fink. Syrup, whether heavy or light, adds sugar (and calories) to the fruit, and peeling before canning removes a significant amount of the fruit’s natural dietary fiber. If it is difficult for you to find fresh fruit and buying canned fruit is your only option, read labels to find canned fruit that’s packed in water or in its own juice and opt for unpeeled, high-fiber fruits such as cherries, blueberries, raspberries or blackberries. Drinking fruit juice has the same likelihood of contributing to weight gain as other sugar-sweetened beverages, including soda, according to the Harvard School of Public Health. In one long-term Harvard study, subjects who increased their consumption of fruit juice gained more weight over time than those who drank less juice. One problem is that commercial juicing methods strip fruit of most of its dietary fiber, which is a nutrient that helps slow digestion and also stimulates satiety. Whenever possible, opt for veggies or whole fruits instead of fruit juice. Eating fresh or frozen fruit is not associated with obesity or weight gain. In fact, when you substitute fruit instead of higher-calorie foods, fruit is positively associated with weight loss. However, calories count when you’re trying to slim down, so it makes sense to choose lower-calorie, lower-sugar fruits when you’re choosing what to eat. Avocados, bananas and mangos are all relatively high in calories, at 110 to 250 per fruit. Berries, however, have the best combination of low calories and high fiber. One cup of fresh or frozen blackberries has only 75 calories and 8 grams of fiber, and 1 cup of blueberries has 110 calories and 5 grams of fiber. With any eating plan, the most reliable way to lose weight is to choose a variety of nutritious foods that result in fewer daily calories than you burn daily. Because fruits have an average of three times the calorie count per serving of non-starchy vegetables, it can be more difficult to lose weight if you eat more than three servings of fruits daily. You don't have to eliminate fruits from your diet, but simply eat them in moderation. Shape.com: Is Dried Fruit Fattening? Weight Watchers: Is Canned Fruit Healthy? The Chicago Tribune: Fruit Juices and Smoothies - Dangerous for Your Health? CNN.com: Can Eating Too Much Fruit Keep Me From Losing Weight? What Fruits Can a Type 2 Diabetic Eat? How Much Fruit Should Be Eaten by Diabetics?